What is an Arkansas Non-Compete Agreement? Arkansas Non-Compete Agreement: What Is It? A non-compete agreement in the state of Arkansas is a legal document that companies use to ensure that their employees do not disclose their business practices and secrets once their employment comes to an end. 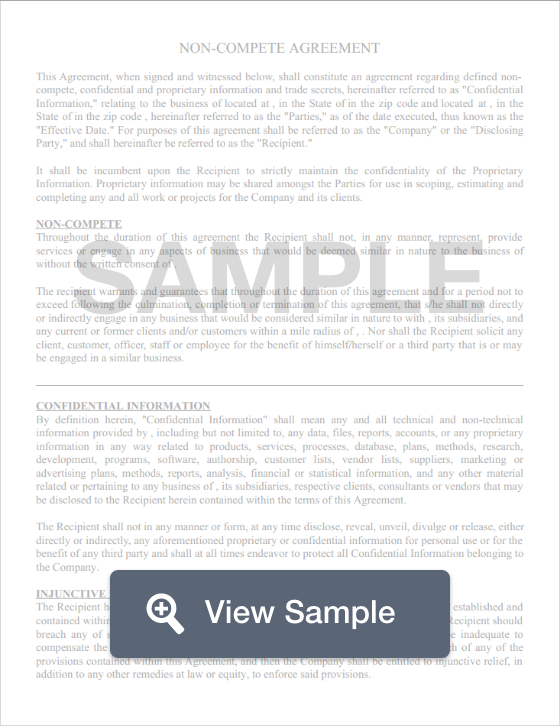 These documents often contain stipulations that restrict the employee from taking certain actions, such as working for a competitor or a similar company within a certain period of time or within a certain geographical zone. If it is discovered that an employee broke this agreement, he or she can be held responsible, paying any damages that they may have caused the employer. There are, however, laws that restrict what employer may not impose on an employee, however, these restrictions vary from state to state. Arkansas Law dictates that any employee that holds a professional license in the medical field may not be required to sign a non-compete agreement. Furthermore, it says that all employers who require their employees to sign non-compete agreements may only do so if they have a protectable business interest and the agreement’s limitations in both time and scope are not greater than what is necessary (§ 4-75-101).